Hey y'all! I hope your week is off to a great start! Between busyness in all areas of my life, sickness, Thanksgiving, and traveling, my gym routine and healthy(ish) eating is a mess. But today I went back to Body Pump (I took this class last Monday as well and my muscles were sore for four days) and it was still challenging but I was able to enjoy the workout. I'm headed back to the gym for cycle class and my goal is to exercise at least four times this week. It's just so much easier to skip the gym and watch Netflix instead! How do you stay motivated to work out?! 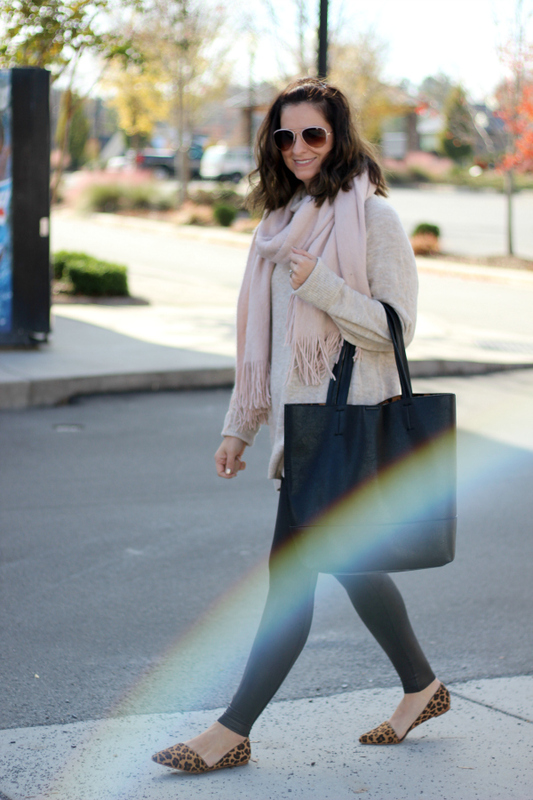 Today, I'm embracing sweater weather and sharing my newest one that is leggings friendly! 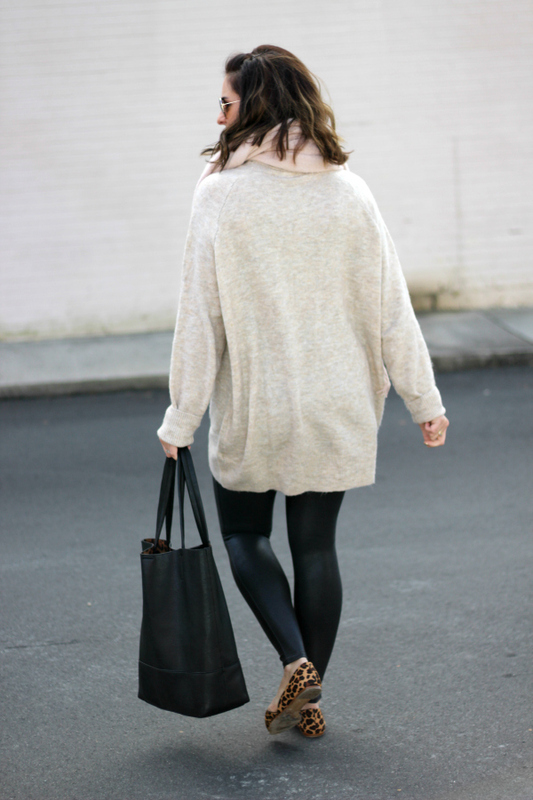 A sweater that is leggings friendly (aka covers the backside comfortably) is basically my favorite thing to wear during these cooler months. Cozy, casual, and comfortable yet put together. I feel like this sweater helps you achieve all of those things! I sized up in this knit turtleneck sweater (I'm wearing a medium) for an extra oversized fit but I would say that it does run true to size. I paired it with my faux leather leggings, leopard shoes, and a super soft scarf. 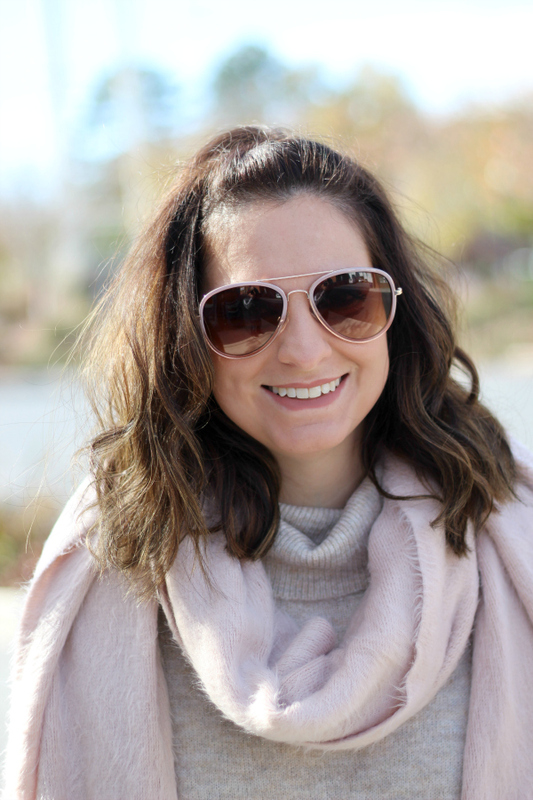 I will be living in this look all winter long!